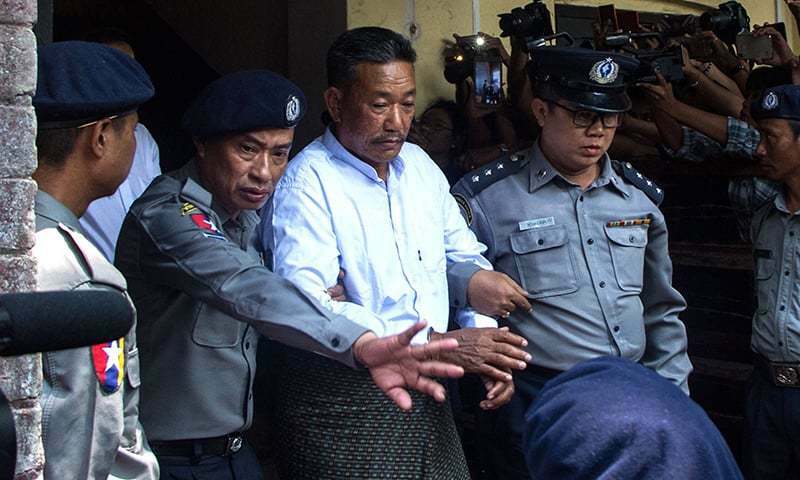 Two people were sentenced to death by a Myanmar court on Friday for the murder of a Muslim lawyer and Aung San Suu Kyi adviser, after a drawn-out trial backlit by allegations of impunity with a main suspect still at large. Ko Ni, whose work and faith made him a target of hate speech online by Buddhist nationalists, was shot in the head at point blank range outside Yangon airport in Jan 2017, while holding his infant grandson. The brazen daytime murder shocked the country and came about eight months after civilian leader Suu Kyi's administration entered office. Ko Ni was a legal adviser to her National League for Democracy and had been working on plans to amend the 2008 military-drafted constitution, which gifts the armed forces control of defence and a quarter of parliamentary seats. Critics have said the slow trial fell short of establishing a complete picture of what led to the murder, pointing to the military backgrounds of two suspects on trial and an elusive fugitive thought to be the mastermind. Judge Khin Maung Maung sentenced gunman Kyi Lin, who also shot and killed a taxi driver while fleeing, “to death until he dies by hanging". Though Myanmar has the death penalty it has not been carried out in at least 10 years, according to Amnesty International. The shooter also received an extra 23 years and hard labour for weapons charges and the death of cab driver Nay Win, who chased him after Ko Ni was gunned down. 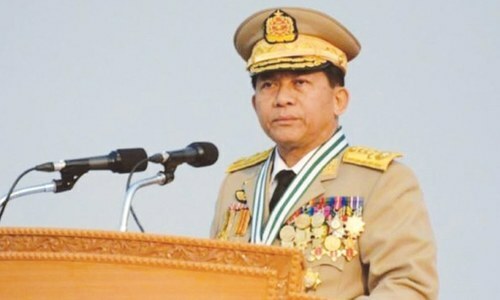 Accomplice Aung Win Zaw, who was at the airport, was also sentenced to death. Two other defendants Zeya Phyo and Aung Win Tun, who assisted at different stages of the plot, received five years and three years imprisonment with hard labour respectively. Both sides can appeal. The prosecutor said he would seek a higher sentence for Zeya Phyo. Armed police, journalists and diplomats crowded the dilapidated courthouse on the outskirts of Yangon, awaiting the verdict. Sean Bain, legal adviser for the International Commission of Jurists, said in a statement afterwards that several details about the murder plot were still unknown. He added that lines of inquiry related to political motivations “don't appear to have been satisfactorily pursued in the investigation and prosecution”. Myanmar was ruled by military-backed regimes for almost five decades. The 2008 charter enshrines the military's political power by giving it an effective veto over constitutional change. It also bars presidential candidates with foreign spouses. The clause was believed to be aimed at Suu Kyi, who had a family with a British academic. 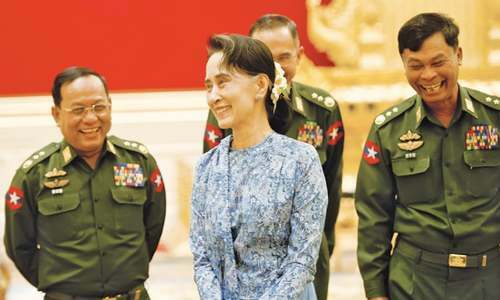 Instead she serves as state counsellor, a position Ko Ni is said to have devised. The NLD formed a committee this month to discuss changes to the constitution, a move opposed by military MPs. 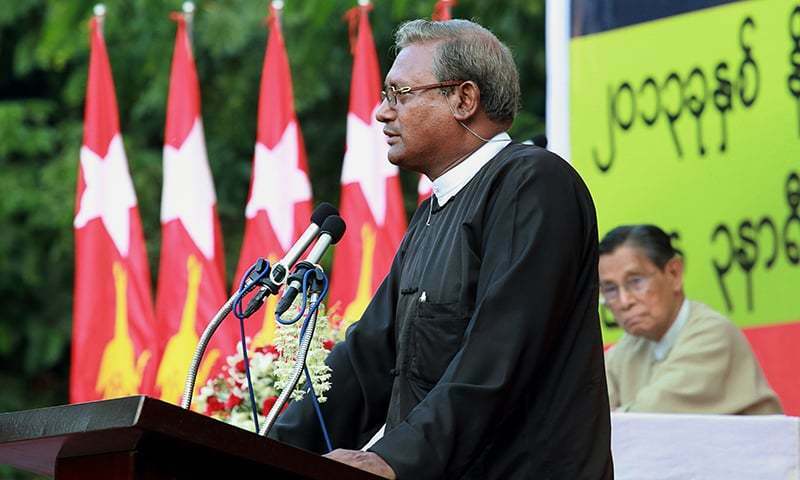 Ko Ni had been one of the few high-profile Muslims still involved in politics in Buddhist-majority Myanmar, after the NLD failed to enlist any Muslim candidates in its historic 2015 election run. The case is one of many that have marred the international legacy of former dissident hero Suu Kyi, who was criticised for not going to his funeral. Suu Kyi's global image lays in tatters for her handling of the Rohingya crisis and the jailing of two Reuters journalists. Atleast there’s some democracy and justice in Myanmar. 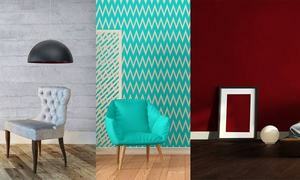 Nevertheless we must appreciate this little step in right direction. Now where are Myanmar bashers and Syu Ki bashers? Myanmar and Syu Ki make me sick... Ruthless! Undemocratic! Shameful!